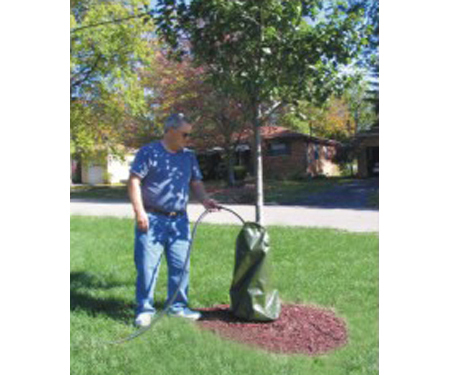 Our Oasis Tree Watering BagTN distributes approximately 20 gallons of water around the base of the tree over a 4-6 hour period. This allows the water to be absorbed into the ground rather than run off. 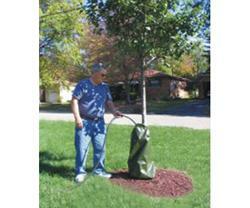 This is very useful when planting a new tree or watering a young tree in the dry time of the year. Soak Pattern - figure "8"